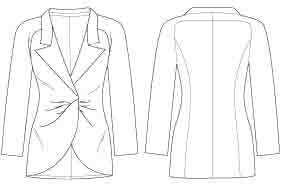 I’ve been reviewing the new jacket patterns, with blazers here, and soft and shapely styles here. But perhaps your taste in jackets is neither for crisp blazers or shapely softer styles. 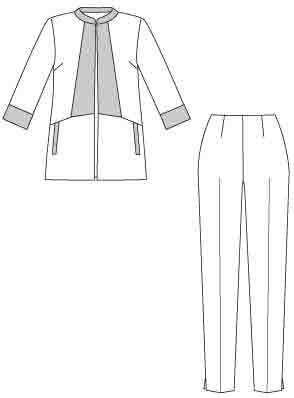 There are several other options mentioned by YouLookFab in her review of jacket trends for the season (2013). I may write on the more edgy looks – bomber, biker, military, though there aren’t many new patterns. YouLookFab also picks out ‘avant garde’ as a key style for the season. Avant-garde: A non-classic style that is arty, sometimes asymmetrical, architectural and boxy, usually quite dramatic, and full of interesting design elements that make it unique. Avant-garde styles have a long expiry date because they are pretty trend-immune, but don’t look classic either. – interesting and unique design elements. I have so many links and comments, I’ve divided this into 2 posts, this one on sources of ‘interesting’ shapes. Second post to come on links about adding ‘textile art’ details. Not a listing of new patterns, just some of the more obvious links. That is a just a small selection of studio designers who produce unusual clothes. are more mainstream with multiple retail stores. Many more links to styles of this type in the Lagenlook thread at Stitchers Guild. Tina Givens has many interesting patterns. 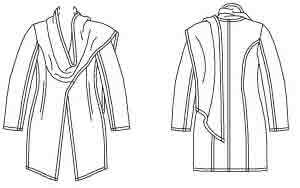 But do make a trial garment – many of the patterns and instructions need considerable adapting to get them to work. Vogue 1347 by Chado Ralph Rucci. What a lot of riches to explore ! Even if you don’t want to wear this style of garment yourself – if you’re fascinated by the shapes of clothes and how patterns work to achieve them, you’ll take pleasure in all this ! Or perhaps you’re more interested in jackets with unique details – jackets that are ‘textile art’, jackets that use fabric combining or are rich with embellishment. I have a second post planned with links on those topics. Knit tops are so popular as a quick make, I thought there would be many sewalongs. There are several ‘let’s have fun together’ sewalongs, but not so many with detailed instructions for a specific pattern (at least, not ones that are easy to find !). 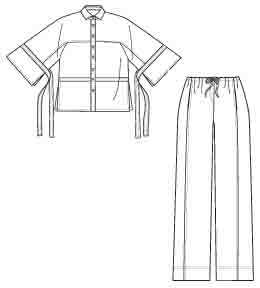 The skirt sewalongs in my previous posts included all sorts of pattern-sewalong combinations. These knit sewalongs all come from the designer of the pattern. Many of these assume you’re working with a conventional sewing machine rather than a serger/ overlocker. I’ve noted what’s used in some sewalongs, but I haven’t seen all of them so don’t know about the others ! Some are video and some written materials. Many ideas for variants – apply them to adult’s patterns too ! 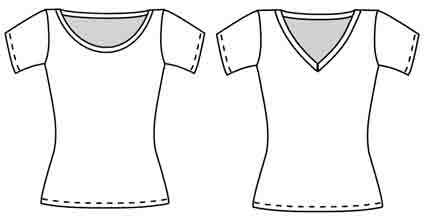 A sew-along for a simple tee with separate sleeves. The instructions show a children’s version, but of course the same instructions apply to the adult sizes ! For later steps click the link at the bottom of each post. Sewing machine, includes sewing a twin-needle hem. The Number 1 best pattern for 2012 at Pattern Review. 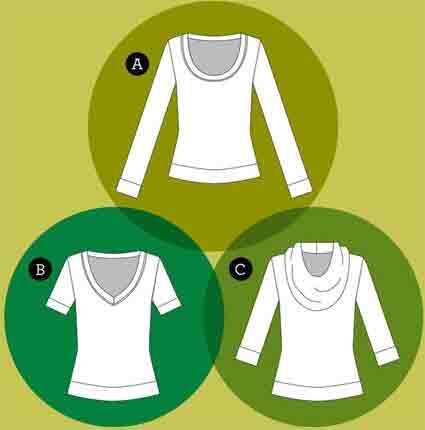 Ttutorial from Hot Patterns on making a basic v-neck tee. Crafts class by Linda Lee on Sewing Fashion Knits. Again I haven’t read or used all these instructions, so no guarantee of quality ! I started reviewing the new season’s patterns while talking about capsules for the season. see my previous post on new patterns for them. I’m not a blazer wearer. I was amused by Angie of YouLookFab’s recent post on her personal shopping list for fall 2013. As the colours, shapes, styles she wants are all wrong for me. Big city style for people who look their best in strong cool colours and sharply edged clothes. A good reminder to enjoy styling advice for the ideas, but not to follow it blindly ! That doesn’t mean my fashion future is hopeless and I’m doomed to drabness, just that I have a different personal style. I could dress happily out of several trendy catalogues. I’ll mention Mint Velvet here, as their mini-catalogue doesn’t include a single blazer 😀 I love the styles, though it’s all a bit black for me. And I could wear nearly everything in the Poetry catalogue if they were the right colours and lengths. In fact, mis-firing advice from stylists I usually admire has been a feature of this summer. Both Judith Rasband (Conselle newsletter of 31 May) and Imogen Lamport (Inside-Out post of 7 August) have told everyone to wear black. Oh dear, oh dear, have they got so famous they don’t bother to look at real people any more. Anyway, back to topic – when I was talking about blazers, I was following YouLookFab’s advice in her post on a capsule for this season. But there are many other possible jacket styles. YouLookFab’s review of jacket high-styles for the coming season doesn’t include any soft or feminine styles, but that doesn’t mean they’re not fashionable. And this post is about the new patterns for them. These patterns may have notched or shawl collars, but most are neither straight nor structured and many don’t have strongly defined shoulders. – more drape in the styling, a softer non-tailored look. – emphasised waist (often with a peplum), for people who have an indented waist, or want to look more shapely. Vogue 8845 by Claire Shaeffer no doubt has instructions for beautiful couture. That back centre panel can be cut on the bias or have added texture interest. Even more drapey, cascade collars have been around for a while, but there are plenty still in this season’s trendy catalogues. Drape down to no lower than waist level. 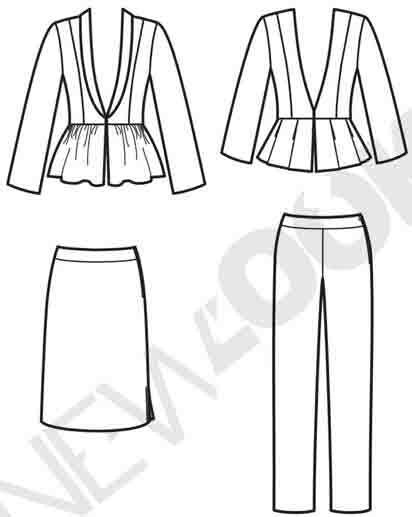 Many small cup people look better with drape to bust level, while if you have a large cup size you may prefer the drape to waist level or lower. No new patterns, but several already available. McCall’s 6444 has both higher and lower drape options. 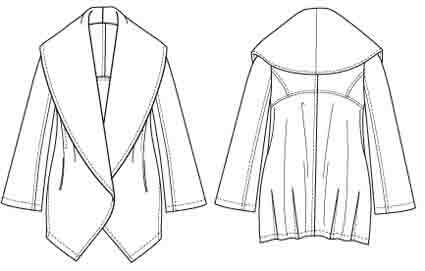 With a shoulder princess pattern, it’s relatively easy to change the neckline style by changing the central front section, so this jacket has many styling possibilities. Vogue 8931 is shapely and structured, not soft in effect. With a choice of collars, and colour blocking suggestions. Would any of these new patterns flatter your body shape and enhance your personal style ? And of course they can all be made in the new fabrications too, see my previous post on blazer patterns. Some of the patterns here already include ideas for colour blocking or texture blocking. But perhaps you don’t wear either blazers or shapely soft styles. Perhaps you prefer more edgy or fashion extremes, or the sort of creativity which is outside fashion. YouLookFab mentioned these in her review of jacket trends for the season. and on the new curved shoulder look. YouLookFab also picks ‘avant garde’ as an important style for the season. And I have posts planned on some of the many options for those. So, many many exciting jacket possibilities. Are you the sort of person who likes to tick your skills off on a list as you learn ? or have some sort of structure to guide your learning ? I don’t like exotic vacations away from home, but I do like to spend August as a stay-cation – sew-cation. I usually take some sort of on-line sewing class. And that makes me think about my sewing skills. Some .pdf lists of skills which I’ve produced. 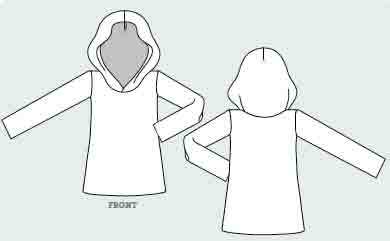 Some .pdf lists about sewing education from 4-H. There are several other 4-H sewing booklets which aren’t free. And, for people who like to learn by working through a suggested sequence of projects, there are the increasingly difficult projects required in a couple of recent knock-out sewing contests. Taking it further, I haven’t produced my own list of jacket sewing skills, but there are comments on them in my post on Sources of jacket sewing advice. 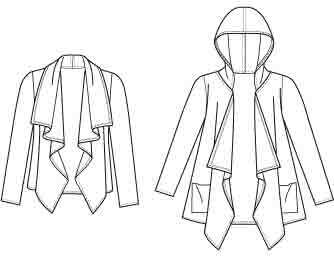 Jackets can be made at a huge range of levels of difficulty. 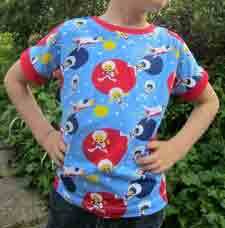 All the way from advanced beginner ones which use the same skills as sewing a simple blouse. 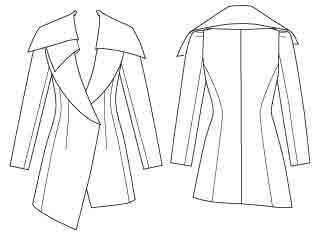 Through to advanced couture and tailoring skills such as underlining, pad stitching, roll line taping, sleeve head supports, welt pockets. . . Different states use different systems. Here are some .pdfs that are free and I’ve found worth a look. How about using extended sewing contests as guides to a project sequence to work through ? This on-line sewing contest used patterns going up to intermediate skills. Contestants had one or two weeks to do their sewing, in their own sewing space. The entries show how much can be achieved from a simple starting point. The basic patterns may be intermediate, but the workmanship and richness of ideas in the entries were at a very high level. The Great British Sewing Bee TV series was a more advanced challenge, as it worked up to making jackets and using special occasion fabrics, plus fitting someone they hadn’t met before. Though the building they sewed in looked delicious, a historic building bursting with fabrics and haberdashery, a sewer’s paradise. Contestants could take their own tools, but had to use the sewing machines provided. In the 2013 series there were 3 challenges each weekend, each with only a few hours allowed. 1. Make up a commercial pattern supplied. 2. Decorate a ready-made item. 3. 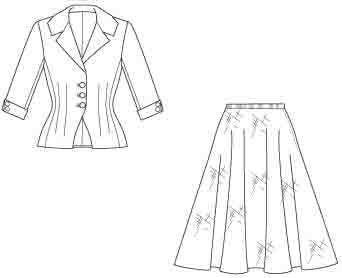 Choose fabric and pattern for a specific type of garment (contestants were given the brief a few days beforehand). Make up to fit a real person, who modelled it for the judging. There was also a simple suggested home-dec project for viewers (not at all well explained !). The episodes used to be available on YouTube, but sadly they’ve been deleted for copyright reasons. . . yet the makers haven’t issued a DVD – pooh ! Jan 2014 – the show has appeared on YouTube again – don’t know how long it will last ! Do you like to develop your sewing skills ? or do you like to use familiar sewing processes, and put your creativity into choosing what to make and how to embellish it ?